A business credit card can be a great tool for building credit, maintaining cash flow and managing business expenses. Many cards also come with lucrative rewards programs that let business owners earn free travel and cash back on their business spending. We've reviewed and selected the top business cards -- not just for the worth of their rewards schemes -- but the value and utility that they offer to business owners for running a business. The Hawaiian Airlines Business Mastercard credit card has decent sign-up and spend-based bonuses, but its annual fee is high, and its earning scheme is quite average. The Fifth Third Business Rewards Mastercard offers decent benefits and business-centric rewards, but its wide range of APRs makes it a risky choice for cardholders with lower credit scores. 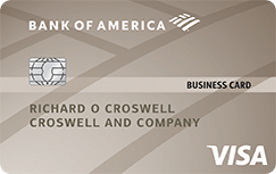 The BB&T Visa Signature Business card offers a low APR and solid business-friendly benefits, but its minimal rewards program doesn’t deliver many points. At first glance, the KeyBank Business Rewards Mastercard looks like a top-tier rewards card, but a closer inspection of its rewards program shows it’s not nearly as generous as it seems. The State Farm Bank Business Visa card’s insurance-centric rewards program offers a unique way to earn points; however, cardholders are limited in how much they can earn. The Regions Visa Business Enhanced card is a lackluster business card with a so-so APR, minimal rewards and almost no additional perks. HSBC makes it easy to share this business-friendly card with multiple employees, but its limited rewards aren’t worth the annual fee. The Marriott Rewards Premier Plus Business card gives you a sweet sign-up bonus and a high earning rate on everyday purchases. This offer is no longer available. Business owners can get extraordinary mileage out of the Starwood Preferred Guest Business credit card, thanks to its generous bonuses on spending categories. This offer is no longer available. The zero percent introductory APR for balance transfers on this card might be useful for business owners, but if you’re interested in rewards, you’d better look elsewhere. This offer is no longer available.